The MS Fram expedition ship is currently loaded with two barrels of 21- and 25-year-old single malt whisky, which it is transporting from one end of the world to the other - a process that is said to refine the noble Scottish drop even further. After crossing the Antarctic Circle, the ship will head north to Greenland and Spitsbergen, with en-route stops scheduled in Scotland where the whisky was first produced. The two 150-litre barrels of American oak filled with fine Single Highland Malt Scotch Whisky which will cross four magical seafaring lines: the northern and southern polar circle, the zero meridian and the equator, have been firmly anchored on deck 9 in preparation for the long journey. “We hope that the continuous rolling wave movements, temperature changes and sea air will further improve the excellent quality of our single malt and have a positive effect on it,” says MS Fram captain Arild Harvik. “As this is the first time that we have undertaken such a project, we filled a test bottle to check for changes in colour, strength and taste before and after the voyage”. After just over ten months onboard MS Fram and over 126,000 kilometres travelled, the whisky will be transferred to limited edition bottles, with no more than 200 per barrel. The whisky is cask strength, meaning that after maturing in the barrel, it will not be diluted with water but will be filled directly from the barrel into the bottles. As the “MS Fram Expedition Whisky”, the single malt will carry its own, unique label and will be available to purchase on-board later this year, complete with a whisky diary and a certificate. The “MS Fram Expedition Whisky” can also be sampled in the bar of the expedition ship. The topic ‘whisky and its origin’ are covered in two voyages on-board MS Fram in April and May. 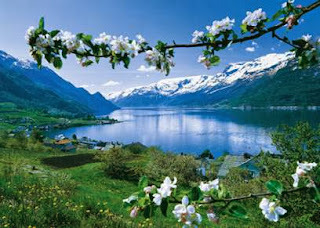 Both start in the Norwegian city of Bergen with the 12-day “British Isles in the Spring” (24th April – 5th May 2014) journey covering Scotland, Ireland and England, while “The Viking Route” (13th – 25th May 2014), lasts 13 days, and visits Scotland, the Faroe Islands and Iceland. Both journeys are accompanied by Scottish lecturer and whisky expert Bernard McGee, who will share his knowledge of single malt scotch whisky and arrange some tastings during the voyage. Prices for ‘The Viking Route’ voyage start from £2,474 per person, twin share for an inside cabin on full board basis. Transfers are available for an additional cost. For more information email Discover the World on hurtigruten@discovertheworld.com.au or call 1800 OCEANS (1800 623 267). Sea Cloud Cruises is offering savings of EUR 1,800 per person on a 14 night Mediterranean voyage aboard its 64-guest windjammer - Sea Cloud - departing 26 April 2014 from Palma de Mallorca, Spain to Kusadasi (Izmir), Turkey. Highlights include the pristine Balearic island of Menorca and the Tunisian ports of La Goulette (Tunis), where guests can visit the medina, souks and the ancient site of Carthage, and Sousse – gateway to the UNESCO World Heritage Site of Kairouan. From there, Sea Cloud will journey to La Valletta, Malta and then the Greek islands of Kefalonia, Syros and Patmos - a pilgrimage site for Greek Orthodox Christians, where guests can visit the Cave of the Apocalypse and the Monastery of St John. Cruise-only fares for a guaranteed double cabin start from EUR 4,495* per person. This includes all meals, from early breakfast to the exquisite four-course dinner menu and five course gala dinners, and drinks including carefully selected wines and beers during lunch and dinner, and a welcoming bottle of Champagne in each cabin. Sea Cloud made her debut in 1931 and was widely regarded as the most magnificent sailing yacht in the world. Many features of the legendary windjammer are preserved in the luxurious style of the 1930's, creating a unique and impressive backdrop for any voyage. *Excursions are not included in the cruise-only fare, but can be booked in advance as a package. 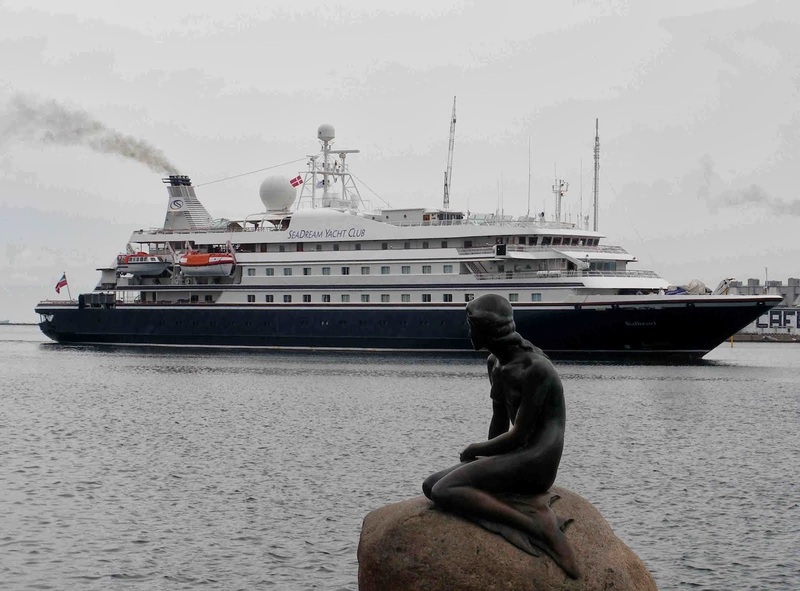 Poseidon Expeditions will begin operating the 114-passenger expedition vessel Sea Spirit in May 2015. Founded in 1999, the company was a pioneer in icebreaker cruises to the North Pole, and has more recently broadened its offerings to include Antarctica aboard the Sea Spirit's sister ship, the 114-passenger Sea Explorer. The vessel will then position to South America to commence a series of expedition cruises to the Antarctic Peninsula, South Georgia and the Falkland Islands during the 2015-16 austral summer season. In addition to the new Sea Spirit Antarctic departures, Poseidon will continue to offer Antarctic cruises aboard the Sea Explorer. With that vessel, the company is operating Antarctic programs during the current 2013-14 season, and will offer 11 different departures during the upcoming 2014-15 season. Starting with the 2015-16 season, Poseidon will offer Antarctic cruises on both vessels, making it one of the leading providers of expedition cruises to the Antarctic. The Sea Spirit and Sea Explorer were built in 1991, originally operated by Renaissance Cruises. Since then, they have been upgraded for expedition cruising, including ice strengthening and other technical improvements appropriate for polar environments. Both vessels feature luxurious all-suite accommodations, restaurants that can accommodate all passengers in one seating, well-stocked libraries, comfortable multi-purpose presentation lounges for educational programming and entertainment, and ample outdoor deck space to enjoy the passing scenery. Activities are directed by a team of seasoned polar guides and educators, and include Zodiac excursions, hiking ashore and optional kayaking, as well as informative presentations aboard. Poseidon Expeditions takes safe and environmentally responsible polar travel seriously, and is a member of the International Association of Antarctica Tour Operators (IAATO) and the Association of Arctic Expedition Cruise Operators (AECO). 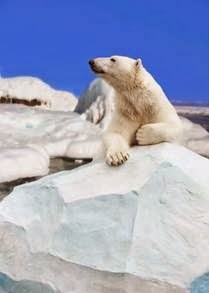 It also actively supports the efforts of Polar Bears International and the World Wildlife Fund (WWF). With offices in the US, UK, Russia, China and Japan, Poseidon Expeditions is a leading provider of polar expeditions in the cruise industry. In addition to offering polar cruises aboard the Sea Explorer and Sea Spirit, the company provides guests with the unique opportunity to travel to the North Pole aboard the 50 Years of Victory, the largest and most modern nuclear-powered icebreaker in the world. Three 14-day Top-of-the-World programs are scheduled for the upcoming 2014 summer. Lindblad Expeditions-National Geographic has announced its last remaining availabilities for 2014 sailing to the Pacific Islands and Australia aboard the 102 guest National Geographic Orion. These expeditions explore the undersea and natural history, as well as the diverse and fascinating cultures of each destination visited, including the likes of the Kimberley, Papua New Guinea and Tahiti. Discover the Kimberley's dramatic landscapes etched with ancient human history and sail to remote island villages of Indonesia. Search for spectacular wildlife, snorkel and dive at Rowley Shoals and witness giant manta rays glide through the water. A chance to learn the history of the Spice Islands - fought over among English, Portuguese and Dutch colonisers. Peter Hillary, son of Sir Edmund Hillary, will join this voyage as a Global Perspectives guest speaker. Following in the footsteps of his father, the first mountaineer to summit Mount Everest alone with Tenzing Norquay, Peter has climbed the highest mountain on every continent, including Mount Everest five times on different routes, as well as travelled extensively around Australia. The 15-day voyage departs 10 August 2014. Rates begin at $11,155, departing Broome and disembarking in Bali. Set sail from Bali and discover Indonesia's rich tapestry of cultures and lush tropical islands. Experience the thrill of spotting rare Komodo dragons in the wild, snorkel and dive at coral reefs from the Moluccas to West Papua and take part in exuberant welcome ceremonies at the secluded villages. Explore the fascinating riverine world of the Asmat region and the underwater of the Great Barrier Reef. The 17-day voyage departs 20 October 2014. Rates begin at $15,540, departing Benoa, Bali and disembarking in Cairns. See the location of some of the fiercest battles of the Pacific theatre during World War II. As National Geographic Orion makes her way from Papua New Guinea to the Solomons, Vanuatu and Fiji, those onboard will snorkel and dive pristine reefs and famous wrecks, trace the history of the Battle of the Coral Sea and the legends of the ancient Melanesians. The 14-day voyage departs 5 November 2014. 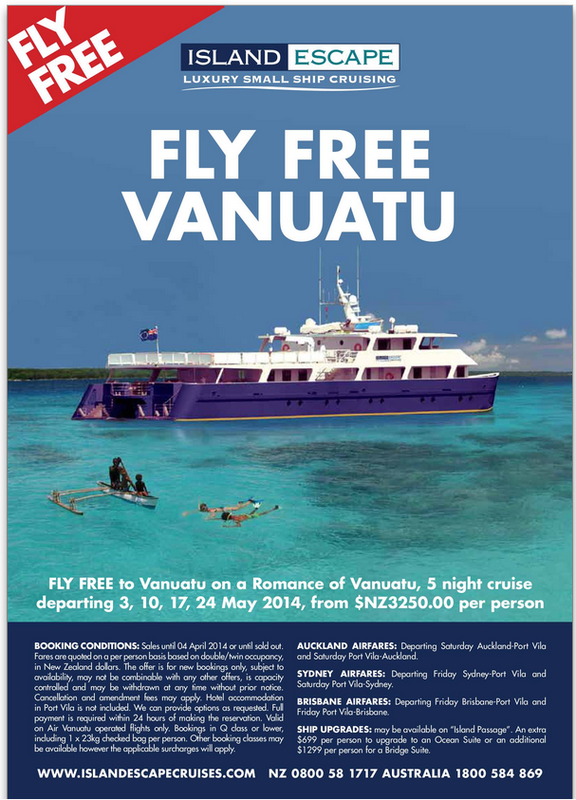 Rates begin at $12,550, departing Cairns and disembarking in Lautoka, Fiji. Book this expedition before 30 June 2014 and receive $1,000 air credit. Valid on new bookings only, not combinable with any other offers. Sail from the sparkling white shores of Fiji to Tahiti's lush volcanic crags, discovering fascinating geology and an abundance of bird species and marine life. Dive or snorkel among underwater canyons and tunnels formed from lava, meet island communities and explore the far-flung reefs of Kiribati, chosen as part of National Geographic's Pristine Seas project. The 18-day voyage departs 18 November 2014. Rates begin at $18,420, departing Lautoka, Fiji and disembarking in Papeete, Tahiti. Book this expedition before 30 June 2014 and receive $1,000 air credit. Valid on new bookings only, not combinable with any other offers. The tropical seas that stretch from French Polynesia to Easter Island have seen missionaries, mutineers and explorers pass their way. Travelling aboard National Geographic Orion, encounter volcanic landscapes in Bora Bora and uplifted atolls of Henderson Island. End the voyage among the moai of Easter Island. The 19-day voyage departs 4 December 2014. Rates begin at $17,410, departing Papeete, Tahiti and disembarking on Easter Island. 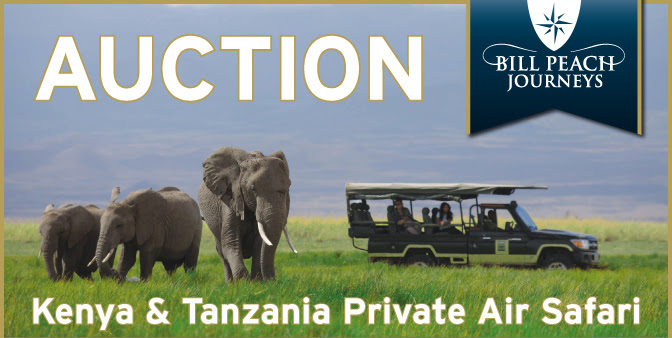 Due to a late cancellation, we now have 2 seats available on the 13 Day Kenya and Tanzania Private Air Safari, departing Nairobi on 28 March 2014. Join Bill Peach Journeys on this spectacular journey through the heart of Kenya and Tanzania. Bill Peach Journeys will be utilising a private aircraft throughout the expedition, to transport you from one breath-taking destination to the next. As always accommodation throughout is superb, including tented camps at Tortilis and Cottar's Camp, and William Holdens luxury retreat, the Mount Kenya Safari Club. Your travel throughout Kenya and Tanzania is seamless. Your local guides are highly experienced, and you'll enjoy fine dining throughout. This is the ultimate way to experience Africa. Please Note: Return economy airfare to and from Nairobi with Emirates will cost approximately $2,350 in economy class, or approximately $8,500 in business class (subject to availability at time of booking). Expedition cruise company, Aurora Expeditions, is inviting guests to take part in a special mission in the Kimberley to uncover a lost historical track once used by early missionaries nearly 100 hundred years ago. The search will take part on a dedicated ‘Wilderness Walk’ which is an exclusive highlight on the company’s 2014 Kimberley itinerary. 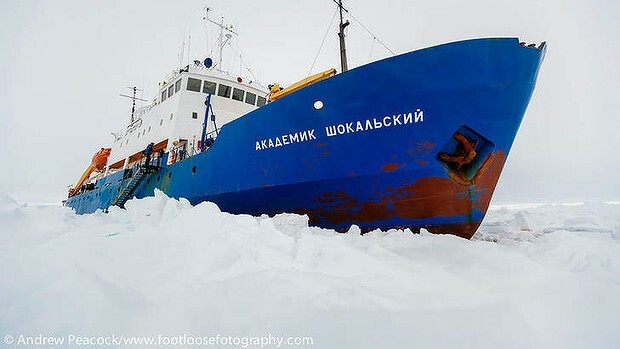 MV Akademik Shokalskiy trapped in the ice at sea off East Antarctica. The federal government is trying to recoup the nearly $2 million it spent helping rescue passengers aboard a ship that became stuck in sea ice in Antarctica over the summer. 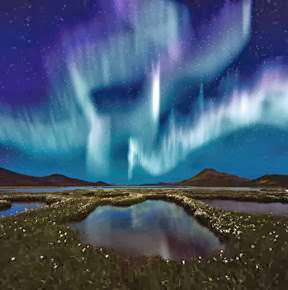 Bentours' tours take travellers to some of the most impressive and breathtaking natural wonders around the world, including the magical Northern Lights, Antarctica's icebergs, Norweigan fjords including - Geirander Fjord & Hardander Fjord, Lofoten Islands and incredible animals like the polar bear. Norway’s crowning glory is its fjord heartland, a maze of breathtaking waterways bounded by sheer mountains that plunge into the sea. 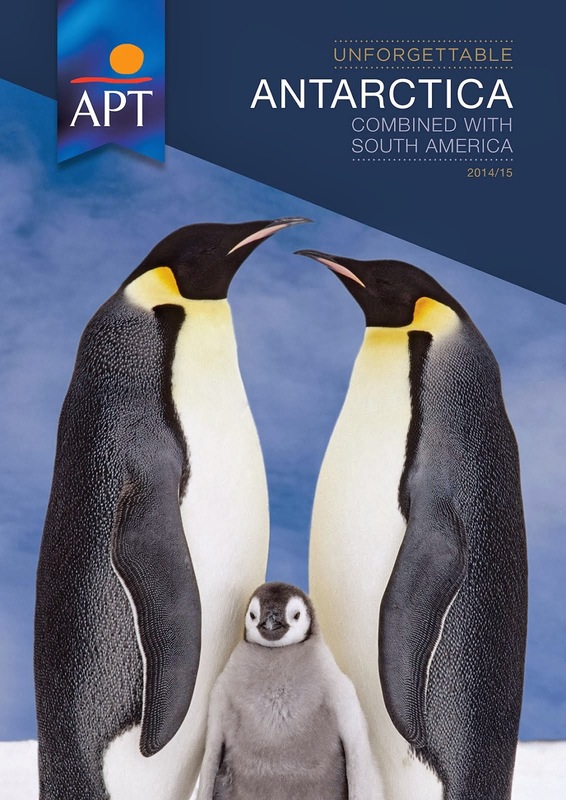 The Antarctic continent is teaming with remarkable wildlife and dramatic landscapes. 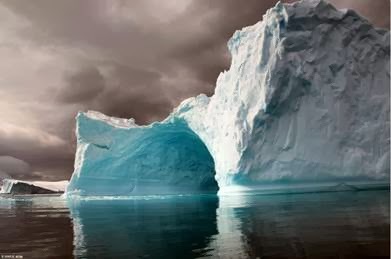 Bentours’ Quest for the Antarctic Circle tour is a 14-day unforgettable sea voyage where, weather permitting, travellers can go ashore to observe penguin rookeries and seal colonies as well as watching Orca, Humpback and Minke whales swimming in the icy waters. 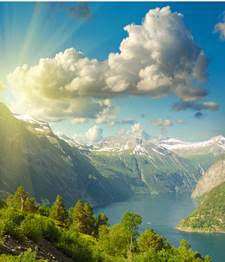 Sweden is for the lover of the natural world – from pristine forests and myriad national parks to the clear blue waters and long, sandy beaches of the east coast, this jewel of Scandinavia crown affords outstanding beauty and diversity. All images are credit of Bentours. Our brand new brochure is available now. The new brochure highlights the additional cabins to make the ship 156 berth, the new gym that looks over the ocean as you work out and the unique onboard experiences. The look and feel showcases the RMS St Helena as a ship offering truly special and magical voyages on one of the most amazing passenger and cargo ships still in operation. With an airport currently being built on St Helena, due to open in 2016 and the schedules now extended until April 2016, this really is the last chance to experience all that the RMS St Helena has to offer. The Kha Byoo, drawing just 75cm of water, will join the Kalay on the Chindwin River between Monywa and Homalin on the same seven night routing and schedule. “The Kha Byoo can be booked back-to-back with the Kindat on our Mandalay to Bhamo routing on the Upper Irrawaddy,” Pandaw said. “The Chindwin, up till now only accessible by larger ships in the monsoon, can be explored year round on a small ship like the Kha Byoo. 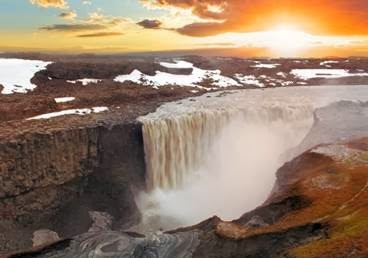 This has to be the loveliest river in Asia with a varied landscape and many exciting river features including gorges and whirlpools set amidst jungles, forests and high mountains,” the company stated. French Polynesia’s renowned passenger-cargo ship, the Aranui 3 is now affording passengers the pleasure of visiting the picturesque island of Takapoto in the Tuamotu Islands, in place of Fakarava, on all future voyages. While on shore in Takapoto, guests have the opportunity to explore the island by foot and swim and snorkel in the turquoise waters surrounding the atoll. The Aranui crew will prepare a full picnic lunch on a white sand beach where guests can lounge under the shade of calming palm trees. On this once-in-a-lifetime adventure, passengers board the ship in Papeete, Tahiti for a 14-day complete vacation experience sailing 800 miles North to some of most spectacular and remote islands in the world, where they will be fully immersed in the Polynesian culture. The Aranui now regularly visits Takapoto (in place of Fakarava) and Rangiroa in the Tuamotu Archipelago as well as Nuku Hiva, Ua Pou, Hiva Oa, Fatu Hiva, Tahuata and Ua Huka in the Marquesas Islands. The April 5 and Dec. 13, 2014 departures will additionally include a stop at the legendary island of Bora Bora. The voyage includes on-shore experiences such as awe-inspiring hikes past waterfalls and sacred ritual sites, encounters with local artisans, a visit to French artist Paul Gauguin’s grave, museums, snorkeling in the translucent waters of the atolls, on-island picnics and restaurant lunches featuring local food, a visit to a pearl farm and more. Featuring a primarily Polynesian crew composed of sailors from the Marquesas and throughout the Tahitian Islands, and with an expert lecturer and guides, the Aranui 3 provides a unique spin on hospitality which combines with mesmerizing scenery to create an unforgettable soft-adventure and cultural experience. Travelers booking a stay aboard the Aranui 3 can choose from four different cabin categories – Suite, Deluxe, Standard and Class C – each providing different room configurations. The cruise includes three meals with complimentary wine daily, guided excursions as outlined in the itinerary, picnics and meals on shore. Optional excursions such as scuba diving, horseback riding and fishing are additional. Prices start at $2,624 per person and do not include port tax, cruise tax and tourism tax, which may total up to $355. Small-ship operator Variety Cruises is offering discounted rates on several departures in February and March. 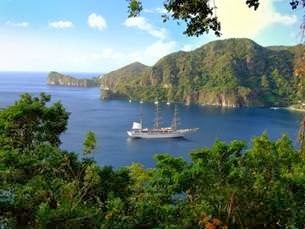 The company is offering a two-for-one special on its March 9 “Treasures of Costa Rica and Panama Canal” sailing. One traveler pays the regular price, starting at $2,590, and a companion goes for free. The promotion code of “Selected Special” should be used. A two-for-one special on the Feb. 22 and March 1 sailings of the “Rivers of West Africa” cruise from Dakar. Cabins start at $1,990 per person; the second traveler cruises for free. The Athens-based cruise company also is offering a 25 percent reduction on the March 22 and March 29 sailings in the Seychelles; the regular fare lead price of $2,200 has been reduced to $1,650. For these cruises, use the promotion code of “Last Minute Special 2013-14” at time of booking. Variety Cruises owns and operates 11 vessels with four to 36 cabins. Windstar Cruises is currently offering an exclusive offer for the line’s recently introduced Asia sailings. Guests can receive two-for-one cruise fares on any of the new Asia itineraries, two free hotel nights pre- or post- cruise and a free exclusive private event on shore during each voyage. As an added benefit to previous guests, the line also offers an additional 10 percent off the cruise fare to Yacht Club Members. Star Pride, Windstar’s all new, all suite power yacht will set sail for the Far East in Oct., 2014. Windstar’s Asia voyages start at $3,999, cruises must be booked by March 28, 2014 to receive this special offer. Windstar showcases the local Asian culture and cuisine through new free exclusive Private Events such as A Feast for the Senses, a Private Event held in Phuket on the Singapore & Malay Peninsula voyage. Guests are welcomed with a traditional flower garland and a Long Drum Parade and dancers. Thai dishes are served at dinner at the Sala Bua (Pavilion of Lotus) restaurant. The night ends with a private Thai dance performance. Additionally there are expert guest lecturers and local entertainers on each voyage. Visit Malaysia and Thailand on this 10-day round trip voyage from Singapore. This voyage visits Penang, Langkawi, Pulau Pangkor, Kuala Lumpur, and Malacca, Malaysia; as well as Phuket, and Ko Yao Noi, Thailand. The free exclusive private event, Phuket: A Feast for the Senses, gives guests the opportunity to enjoy local culture with a Long Drum Parade and a private dinner at the Sala Bua (Pavilion of Lotus) restaurant. This 14-day voyage sails from Singapore’s Orchard Road to French-flavored Ho Chi Minh City (the former Saigon) and the monuments of Hanoi. The voyage starts in Singapore and visits Ho Chi Minh City, Nha Trang, Qui Nhon, Da Nang, Hanoi (Haiphong), and Halong Bay, Vietnam before ending in Hong Kong. The free exclusive private event, Hoi An: Dreams of Floating Lanterns, includes arts, crafts, culture and cuisine with a private performance of lion dances and dinner at Nam Long, a restaurant on the Thu Bon River. 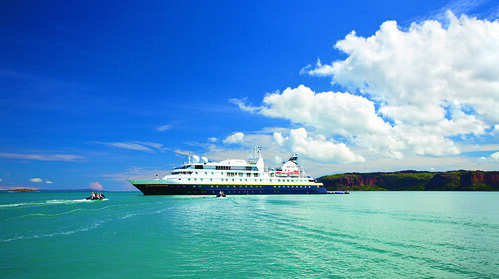 Sail Vietnam on Windstar’s 10-day voyage from Ho Chi Minh City, Vietnam to Hong Kong. Ports of call include Nha Trang, Qui Nhon, Da Nang, Hanoi (Haiphong) and Halong Bay. The free exclusive private event, Hoi An: Dreams of Floating Lanterns, allows guests to enjoy local culture and practice skills like Vietnamese letter drawing, lantern-making and wood-engraving interactive workshops. For guests who are looking to extend their cruise vacation with a land experience, The Wonders of Angkor Wat can be added on to this itinerary. The three-day journey explores the ancient temples of Cambodia with visits to Angkor Wat, Angkor Thom and the Angkor Temple of Ta Prohm. The package starts at $1,535 and includes airfare to or from Ho Chi Minh City, two nights accommodation at the Le Meridien Angkor and a gourmet dinner with traditional Cambodian entertainment and dance performance. Sail through some of the Andaman Sea’s islands and bays and explore the colonial Old Towns, ancient cave temples and melting pot cities on this 15-day voyage from Dubai, UAE to Singapore. Star Pride visits Mumbai, Mangalore, and Cochin, India; Phuket, Thailand; and Penang, Malaysia. Launching from Barcelona in May of 2014, the 9,975-ton Star Pride is the first of three new power yachts to join Windstar’s fleet. 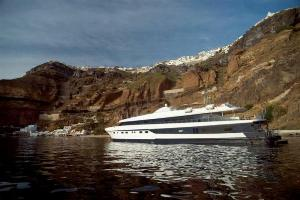 With a guest capacity of 212, the all suite yacht allows special access of small ship cruising. The yacht will undergo a transformation of design and décor to align with Windstar’s casual contemporary style. Sail from Bali to Taiwan on this 16-day Silversea Expedition onboard Silver Discoverer. Silversea’s voyage through this unique part of the world provides guests with a rare opportunity to come face to face with orangutans in Borneo, see the world’s largest lizard, the Komodo dragon, in their natural habitat and visit an array of tribal villages. Aboard Silver Discoverer everything is included, from the fine wines and spirits aboard the ship to the small-group excursions ashore. Departing Benoa (Bali) on 24 May, 2014, Silver Discoverer will voyage to the Indonesian islands of Komodo and Sulawesi before entering into Malaysian waters. Ports of call will include a visit to Malaysia’s only oceanic island, Sipadan Island, Lahud Datum and Kinabatangan River, followed by an overnight stay in Sandakan. Heading into the Philippines, Silver Discoverer will stop at Puerto Princessa and Coron Island in Palawan, before travelling from Aparri to Callao to visit the Caves in Penablanca. Sailing into Taiwan, guests will explore the mountains, waterfalls and natural gorges in Hualien before voyaging to Taipei, with guests disembarking on 9 June, 2014. 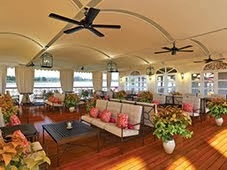 Prices are per person starting from AU$12,350 in a View Suite double occupancy. Silversea’s fares include all-suite accommodation with butler service; gourmet meals with menus designed by Relais & Châteaux; complimentary wines, Champagne and spirits served throughout the ships; and all gratuities. This voyage is subject to availability. Terms and conditions apply. Australian leader in Luxury European River Cruising, Scenic Tours introduce the new destination of Bordeaux to its cruise itinerary's for 2015. Sailing Bordeaux's majestic waterways, Scenic Tours' new program offers unparalleled views of Gothic churches, tree-lined thoroughfares, 18th century merchant mansions and the historic Quartier Saint-Pierre. With no overnight sailing, the itineraries are designed to showcase the very best sites and experiences of Bordeaux on a leisurely sail across the regions' three most famous waterways. Guests on the 2015 Bordeaux cruises will experience the culture of France's sleepy south travelling to the regions of Saint-Émilion, Pomerol, Médoc and Graves, world renowned for producing premium wines from ancient Roman vineyard plantations, Bordeaux's picturesque ports and fascinating architecture, all set against the backdrop of the Atlantic ocean and the Pyrénéés mountains. The World Heritage listed city of Bordeaux comes as one of many exciting new additions to Scenic Tours' France river cruising programs with new Scenic Enrich and Scenic FreeChoice experiences. Guests travelling to Bordeaux in 2015 will indulge in private soirée within a medieval Châteaux, explore the local villages and taste the region's culinary specialties and agricultural delights and the UNESCO World Heritage listed city of Blaye, on board the newest ship the Scenic Diamond cruising the Garonne, Dordogne and Gironde Rivers. 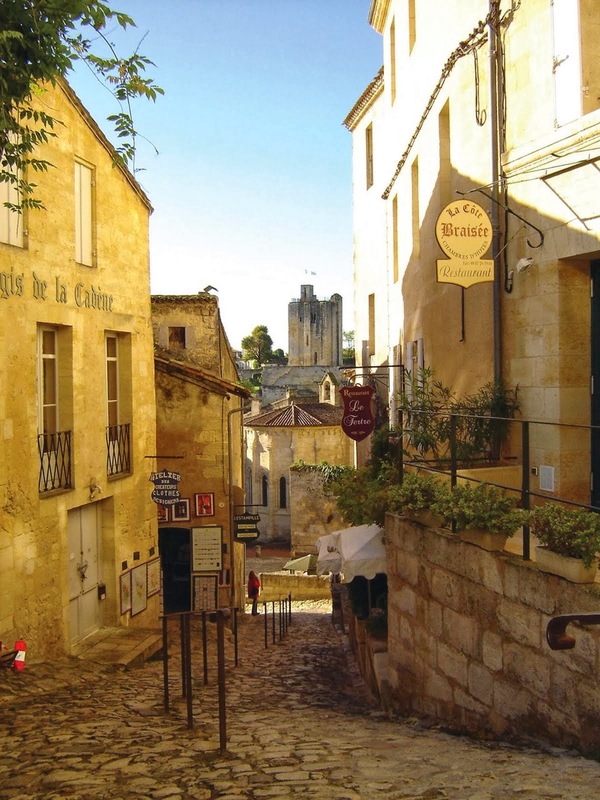 Scenic Tours Bordeaux river cruises for 2015 feature the 12 day Bordeaux River cruise program from $6,935 per person twin share and can be combined with Scenic's other iconic French cruises, The Seine and The South of France. Guests are encouraged to book now as Pre-release special offers will be ending upon full release of the Europe River Cruising Brochure. For more information, visit www.scenictours.com.au. During her eleven days, SeaDream I will embrace parts of Norway with many reminders of when it was once the cradle of Viking civilisation, stop in traditional fishing villages dating back to the 9th century and seldom accessed by 5-star luxury vessels, sail some of Scandinavia's most famous fjords and their glass-like crystal-clear deep waters, tie-up just metres from world-famous museums… and by contrast to the sea, offer the chance to ride one of the world's shortest and steepest railways. 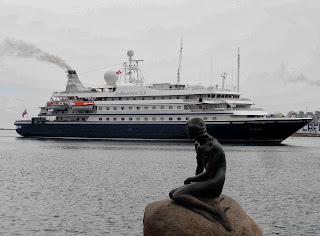 Ports of call include Olden, Geiranger, Aalesund, Flaam, Gudvangen, Sunndal, Rosendal, Stavanger, Lillesand, capital Oslo, Marstrand (Sweden) and Copenhagen. Prices start from US$7824pp twin-share for the 11-days including all 5-star dining, wines with lunch and dinner, drinks from the open bars, sail and power water-sports in ports where permitted, gratuities and port charges and taxes. Australia's small ship cruise line Coral Princess Cruises have released details of their 2015 Kimberley Expedition season, an important milestone for the company as it celebrates its 20th year exploring the remarkable Kimberley Coast since pioneering cruising in the region in 1996. Now a bucket list trip for many Australians and a growing number of adventure cruise aficionados from around the world, Coral Princess has responded to soaring demand by opening up the 2015 expeditions for bookings well ahead of schedule. Coral Princess operates a record 34 departures between April and October each year aboard two small ships; the state-of-the-art 72 guest Oceanic Discoverer and the newly refurbished 48 guest catamaran Coral Princess. As a 100% Australian-owned, flagged and staffed operation, Coral Princess guests avoid the need to transit an international port as part of their Kimberley itinerary and with a minimum of two landings most days Coral Princess guests will enjoy the opportunity to see more of the Kimberley and make the most of every minute of their expedition. The Kimberley wilderness of Western Australia is three times larger than England with a population of just 30 000. Coral Princess's 10-night voyages between Darwin and Broome cruise through one of the planet's oldest and most awe-inspiring scenery and landscapes. From the towering 80-metre King George Falls, four-tiered Mitchell Falls and the iconic King Cascades to the amazing natural phenomenon of Horizontal Falls and lesser-known highlights such as swimming beneath beautiful Ruby Falls, Coral Princess's Kimberley itinerary includes all of the icons of this spectacular coast in unrivalled style and total comfort. 2015 prices for the 10-night Kimberley cruise aboard Oceanic Discoverer start at $9,190 per person in a Main Deck (Category B) Stateroom and $7,590 per person in a Cabin category room aboard Coral Princess. Prices include all meals, lectures and services of the all-Australian expedition staff and excursions aboard a fleet of zodiacs and the unique 'Xplorer' excursion tender. Coral Princess Cruises pioneered small-ship expedition cruising in Australia and the South Pacific in 1984. In addition to the Kimberley expedition, the company operates year-round small ship cruises on the Great Barrier Reef from Cairns, along with an enthralling 11-night Cape York & Arnhem Land adventure between Cairns and Darwin. Further afield, Papua New Guinea, the Islands of the South Pacific, New Zealand and the Raja Ampat and Spice Islands regions of Indonesia feature in the company's exciting range of itineraries throughout the South Pacific and South East Asia. 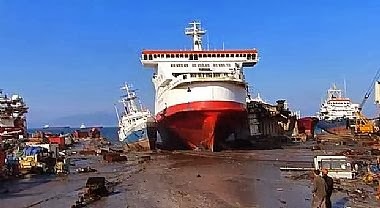 In October 2013, the 1987-built former MS Pride of Calais, was beached for scrapping. This is how you park a ship when you just don't care. The International Association of Antarctica Tour Operators (IAATO) and two IAATO Member Operators, Aurora Expeditions and Oceanwide Expeditions, took part in a live search and rescue communications exercise in collaboration with the Maritime Rescue Coordination Center (MRCC) Ushuaia, Argentina. The intent of the training exercise was to test the lines of communication between the ship in distress, MRCC Ushuaia and a vessel tasked with going to the incident area to assist. In the scenario, the Polar Pioneer operated by Aurora Expeditions, sent out a distress call from the South Shetland Islands off the Antarctic Peninsula after losing propulsion due to its propeller being entangled in a fishing net. The ship was carrying 64 passengers and 26 crew. In response, MRCC Ushuaia identified Oceanwide Expeditions’ 116-passenger ship Plancius as being the nearest vessel and tasked it with going to assist. IAATO Executive Director Dr. Kim Crosbie said “Search and rescue response in Antarctica is always a collaborative effort and we have a strong relationship with the five maritime rescue coordination centers that have responsibility in Antarctica. Live exercises such as this one provide valuable training opportunities, strengthen ties and demonstrate our ability to communicate in remote locations. APT has launched its new Antarctica program, which according to General Manager Marketing & Sales, Debra Fox, offers a portfolio of once-in-a-lifetime journeys that enable guests to experience the sheer beauty and magnitude of this frozen wilderness. The brochure features eight itineraries ranging from 15- to 39-days in length. 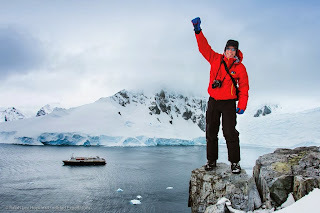 Guests can choose from either a 10- or 18-night Antarctica Cruise which is then combined with one of a selection of small group South American land journeys and Galapagos or Amazon cruises. Sailing aboard the Sea Explorer, an all-suite luxury expedition ship built especially for Antarctic exploration, guests will be joined by some of the industry's most experienced expedition guides. Also onboard for the duration of the cruise is a dedicated APT Expedition Leader and a doctor. The 18-night Antarctica Cruise sets sail from Ushuaia through the Beagle Channel, taking in The Falkland Islands, South Georgia and the South Shetland Islands. Sailing through a pristine wilderness of snow, ice, mountains and waterways, highlights include: shore excursions aboard zodiacs; wildlife spotting at penguin rookeries, seal wallows, bird colonies and whale feeding areas; and the chance to spot the iconic Emperor penguin. Small group South America tours for a maximum of 28 guests and ranging from 11 to 20 days in length are combined with the cruise to create a choice of the 30-day Santiago to Buenos Aires with Antarctica Cruise; 38-day Galapagos, Peru & Buenos Aires with Antarctica Cruise; or 39-day Best of South America with Antarctica Cruise. APT is offering a choice of two SuperDeals. Couples can save up to $3,500 with APT's 'Companion Fly Free, including taxes' deal, available when two people book a South America land tour and an Antarctica cruise, as well as flights from Australia and New Zealand. APT is also featuring a 'Business Class Offer' whereby guests can fly business class return from Australia to South America from $5,595 per person, including air taxes. SuperDeals are valid on all bookings until 31 May 2014 or until sold out. Terms and conditions apply and offer is subject to availability. 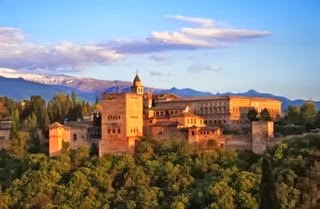 Discover Spain's coastal jewels, a unique blend of East and West, which infuse your senses with the sights, tastes, and temptations of this magical region - Costa Blanca, Costa Brava, Costa del Sol. Between Lisbon and Barcelona lies a world of sun-drenched magic, yours to explore as though you were on your own private yacht. · Package cost is additional to cruise fare. · Enhance your voyage with championship courses that demand your best game as you cruise the coast of Southern Spain. *Golf courses subject to change. 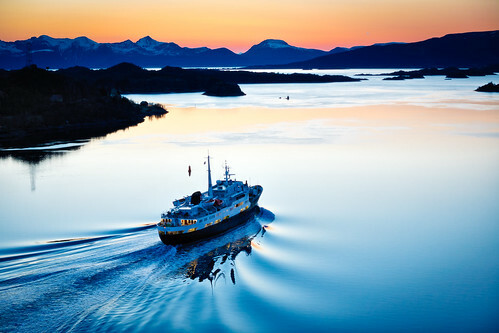 Hurtigruten has good cause to celebrate in March, when it will be celebrating the 50th anniversary of the oldest and smallest ship in the fleet - the popular vintage vessel MS Lofoten. The ship made its maiden voyage from Bergen with Hurtigruten on 5 March 1964. The birthday will be celebrated with a range of activities on board including celebratory meals, special anniversary stamps and fishing directly from the ship, as well as special booking offers for those wishing to join in the celebrations. By it’s 50th birthday, the MS Lofoten will have travelled almost three million nautical miles, transported 1.25 million passengers and docked over 75,000 times in the Hurtigruten ports. The smallest and oldest of the Hurtigruten ships has been protected by a preservation order since 2011 and its traditional charm and unique character have earned it a large community of fans among Hurtigruten passengers. The anniversary voyage, setting out from Bergen on 2 March 2014, will be the prelude to the festivities. Numerous well-wishers and visitors are expected in the larger Hurtigruten ports, while traditional Norwegian dancing and music will also mark the occasion. An exhibition of photos of MS Lofoten over the past 50 years will be shown on board and passengers will learn fascinating facts about this vintage vessel and the history of Hurtigruten in lively lectures. The anniversary will also have local and fresh food specialities provided by the on-board restaurant which will serve an anniversary menu reminiscent of the 1960s one evening on each of the Classic Round Voyages. There will also be a feast for the eyes as the crew and officers will be dressed in uniforms from the era. Loved ones at home can be a part of the proceedings as passengers will be able to send postcards with an MS Lofoten anniversary stamp that is being issued by the Norwegian post office especially to mark the occasion. On the southbound route, passengers can try their luck at fishing directly from MS Lofoten’s weather deck. Anyone born in 1964 and therefore sharing a 50th birthday year with the ship will have a special reason to book during 2014, as they will travel at half price when accompanied by another passenger. Other available offers include a free excursion for those booking selected cabin types. Hurtigruten, is on a special quest for personal memories, stories, anecdotes and photos that passengers, enthusiasts or former crew members have collected about the ship. Those who submit their memories to mslofoten@hurtigruten.com by 28 February will be entered into a draw to win a Hurtigruten voyage from Bergen to Kirkenes for two people including flights. 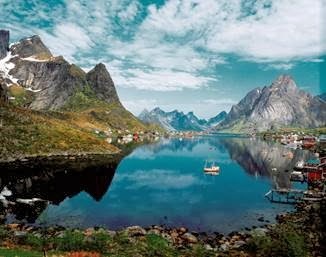 A ‘Classic Voyage North’ from Bergen to Kirkenes, departing on MS Lofoten on 4 April costs from £834 per person, based on two sharing an inside cabin on full board basis. Flights are transfers are available for an additional cost. 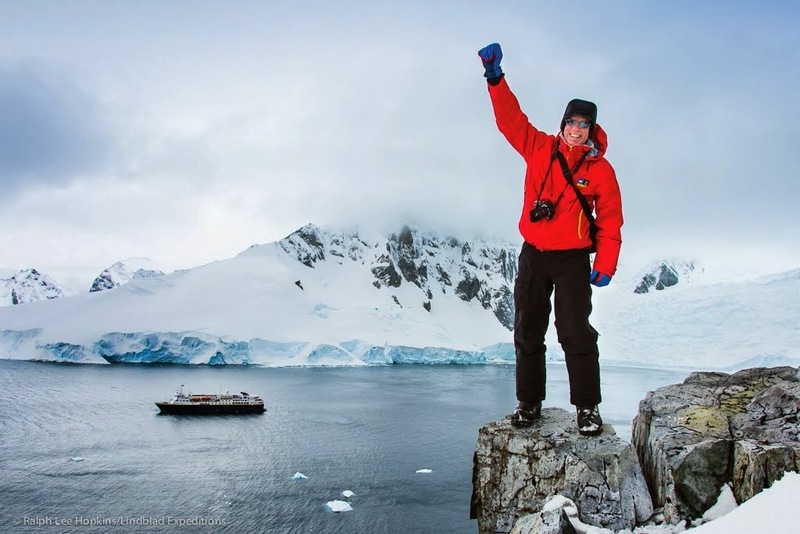 Peter Hillary, son of Sir Edmund Hillary, will join Lindblad Expeditions-National Geographic as a Global Perspectives guest speaker on the Kimberley with Spice Islands expedition departing 10 August 2014. Following in the footsteps of his father, the first mountaineer to summit Mount Everest along with Tenzing Norquay, Peter has climbed the highest mountain on every continent, including Mount Everest five times. His 2002 climb is the subject of the National Geographic documentary, "Everest: 50 Years on the Mountain." Peter will share his experiences of more than 40 mountaineering expeditions, including one where he was the sole survivor of a storm that claimed seven other climbers at more than 26,000 feet on K2, the world's second highest mountain. Peter has also travelled extensively across Australia. His experience includes climbing and skiing the Snowy Mountains, filming shark frenzies in the Coral Sea of the Great Barrier Reef and riding a motorbike more than 14,000km around the perimeter of the continent. Continuing his father's dedication to the Himalayas of Nepal, Peter is a board member and fundraiser for the Himalayan Trust. This includes the running of 42 schools, hospitals and forestry and environmental programs. The Global Perspectives program adds an extra layer of interest and insight to a Lindblad-National Geographic expedition with special guests drawn from the top tiers of world affairs, broadcast journalism, and exploration and research. The unique program affords guests the opportunity to travel and explore with world-class personalities. Guests will have the opportunity to hear them in the context of their lounge talks, but also to spend time with them and other members of staff—while cruising in a Zodiac, over a drink, or during dinner. The Kimberley with Spice expedition allows those on-board to discover the Kimberley's dramatic landscape etched with ancient human history, and sail to the remote island villages of Indonesia. Guests can search for spectacular marine life, snorkel and dive at Rowley Shoals and witness giant manta rays glide through the water. The 15-day voyage departs 10 August 2014. Rates begin at $11,155, departing Broome and disembarking in Bali. Rates are per person, in Australian Dollars based on a double occupancy in a category 1 cabin. We're pleased to let you know that a select number of berths have become available on this year's 'In the Wake of Bering: In search of the Spoon-billed Sandpiper' expedition in June 2014. A favourite voyage with many of our expeditioners, and run in conjunction with wildlife expedition company Naturetrek, this voyage will take in the best of Kamchatka. Kamchatka remains one of the last few true wildernesses left on Earth. Here a wide range of exciting birds and animals, towering snow-capped volcanoes, virgin forest, pristine tundra and a rich indigenous culture await the wildlife enthusiast, and what better way to explore this land of fire and ice than by spending 12 nights aboard the Spirit of Enderby. Led by Expedition Leader Rodney Russ, and the Heritage Expeditions expedition team as well as two Naturetrek leaders this 13 day itinerary will weave its way up the Kamchatkan coast from Petropavlovsk-Kamchatskiy to Anadyr in search of a wonderful range of birds and mammals, such as millions of breeding seabirds (including a dozen species of Pacific auks), the mighty Steller's Sea Eagle, Sea Otter, Brown Bear, Walrus, cetaceans such as Orca and Western Pacific Grey Whale and, hopefully, one of the world's most critically endangered waders, the enigmatic Spoon-billed Sandpiper. Captain Cook Cruises Fiji has announced its 2014 and 2015 departure dates for its popular eleven night Lau Islands Discovery Cruise which explores the length of the Lau Islands and Kadavu, a part of Fiji rarely seen by tourists. The cruise had its inaugural voyage last October, selling out within two weeks and its second departure scheduled for 22 April 2014 has very little availability. Jackie Charlton, Managing Director of Captain Cook Cruises, Fiji said "due to the popularity of the first two departures, we decided to schedule an additional departure in 2014 and confirm dates for 2015." The additional departure in 2014 has been scheduled for 4 November and confirmed 2015 departure dates include 28 April, 04 August and 03 November. "We are overwhelmed with how popular the 11 night Lau cruise has been and it has exceeded all our expectations. We are so excited to be able to announce three departure dates for 2015." Says Jackie. Invited to visit these incredible islands by locals eager to share their beauty, Captain Cook Cruises worked hard using local knowledge and advice, to put together a fantastic and unique 11 night itinerary. The itinerary see's passengers visiting Wailagilala - the untouched northern island of Lau, Vanuabalavu - Lau's largest Island, Fulaga - the most beautiful Island in the Lau group, the uninhabited Vuaqava, Kabara - known for its wood turning and Tongan heritage and the untouched white beaches of Totoya Island. On the way to and from the Lau group the cruise will stop at Lavena on the Southern waterfall coast of the Garden island of Taveuni and on return visit Kadavu, famous for its wildlife and underwater world. Passengers can also snorkel in the caves and adjoining coral gardens in the Bay of Islands, renowned for its beauty, pristine waters and spectacular scenery and sit back and enjoy breathtaking views as they cruise through the central Lau Group, passing Islands such as Lakeba, Oneata, Komo, Namuka-i-Lau and Yagasa. Exciting activities over these 12 days include a hike to the beautiful Waterfalls at Tavena, exploring the amazing coral Atoll of Wailagilala, visiting Fijian and Tongan influenced villages and schools, attending a local church service at Oneata, exploring the flora and fauna on the deserted rainforest island of Vuaqava, a traditional Meke, Sevusevu and lovo feast and endless swimming, snorkelling and diving in the clear blue ocean water off picturesque islands and in beautiful lagoons. The Discovery Lau cruise departs Tuesday, 4 November 2014 at 1.00pm from Port Denarau and disembarks on Saturday, 16 November 2014 at 9.00am at Port Denarau. Cabins are also still available on the 22 April, 2014 departure. Early Bird Saver fares for the 11 night cruise is priced from $3208 per adult twin share and includes accommodation, all meals, daily stopovers and water activities, guided village, school and island tours, glass bottom boat excursions, Marine Biologist and cultural talks, on-board entertainment and use of the ship's facilities including swimming pool, spas, pool bar, sun deck, sauna, cocktail bar, day spa and library. Read all about it! Expedition Cruising news now with attractive newspaper format option. We all know everyone is talking about small ship cruising, whether it's river, expedition or boutique. This Facebook page is for you. 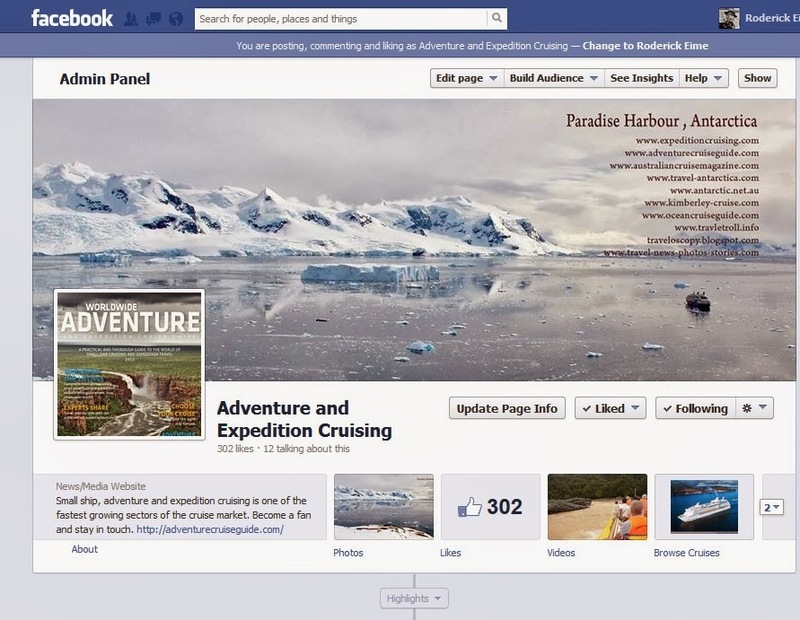 As an owner, seller or frequent cruiser, join in the only Facebook page dedicated to your favourite form of travel. Join in the discussion and spread the word. Today. Update: 8 February 2014: Due to overwhelming demand Scenic Tours is excited to announce an additional departure date on their luxury private chartered cruise on the Irrawaddy. The cruise ship exclusively chartered for Scenic Tours, the Irrawaddy Navigator, will sail between, Mandalay and Yangon. Offering an exclusive Burmese experience in pure floating luxury, the Irrawaddy Navigator features indulgent staterooms and elegantly appointed public and dining areas designed to compliment the mystical land. The additional departure date is November 5, the ideal time for travel to Burma with November commonly known as the cool season, where the country experiences wonderful warm weather with very little rainfall. The 10 Day Luxury Irrawaddy River cruise from Mandalay to Yangon prices starts from $4,185 per person twin share and for bookings made by 31 March receive a $700 airfare credit per couple. Conditions apply. Scenic Tours is excited to announce the introduction of luxury private charter cruising in South East Asia. For the first time, Scenic Tours has launched a brochure exclusive to the rivers of South East Asia, which features these luxurious new charters for 2014/2015. The privately chartered luxury cruises will sail on the Mekong and Irrawaddy rivers, exclusively taking Scenic Tours guests into the heart and soul of South East Asia. The all-suite boutique Mekong Navigator and Irrawaddy Explorer accommodate 68 and 56 guests, respectively, in absolute luxury and comfort. This allows for an unrivalled intimate experience enabling guests to appreciate firsthand the culture, incredible sights and hidden treasures of this fascinating region. The exclusive private charters on board the Mekong Navigator will sail from bustling Ho Chi Minh City in Vietnam to Cambodia's Siem Reap, home to the World Heritage-listed temples of Angkor Wat and will set new standards in high-end intimate boutique cruising with indulgent suites, butler service and world class cuisine. The Irrawaddy Explorer will cruise between the last royal capital, Mandalay and Prome, north of Yangon. She will offer an exclusive Burmese experience and is pure floating luxury, providing indulgent suites with floor to ceiling glass doors and elegantly appointed public and dining areas where sumptuous meals are designed to complement this mystical land. The Scenic Tours signature experiences of the Scenic Enrich and Scenic FreeChoice programs allow guests to enjoy unique events and select activities that really interest them. With meticulously planned itineraries, professional Cruise and Tour Directors with English-speaking Local Guides this is true Scenic Tours all-inclusive luxury, where absolutely everything is included. Scenic Tours is offering some fantastic offers on the 2014/2015 South East Asia program including free flights or airfare credit of up to $1,000 per couple on selected tours. Bookings must be made by 31 March 2014. For more information visit scenictours.com.au or call 1300 SCENIC (1300 723 642).